1989 and older cars for sale, including daily drivers, classics, customs, hot rods, rat rods, etc. 1989 and older trucks for sale, including daily drivers, classics, customs, lowriders, 4x4's, tricked out trucks, etc. All years, makes and models of enclosed or flatbed transport trailers for sale. All years, makes and models of stock or custom, street, off-road or racing motorcycles for sale. Restored and unrestored memorabilia from the past to decorate your garage, shop, man cave, business or home. These items for sale are private party ads (non-commercial). Are you in the need of Transport Shipping, Appraisal Services, Classic Vehicle Insurance or Repair and Restoration Shops? 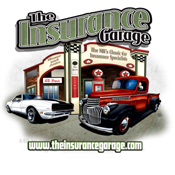 You'll find a variety of automotive related products and services here! Are you looking for another project? Check here for 1989 and older cars and trucks for sale that are in need of repair, restoration or for use as a parts vehicle. Private party ads for individuals selling their used (or practically new) automotive parts for 1989 and older vehicles. Vintage travel trailers for sale. Wanted ads for 1989 and older cars, trucks and projects, nostalgic memorabilia, 1989 and older used parts, vintage travel trailers and/or transport trailers. What do you have that others are looking to find?